1. 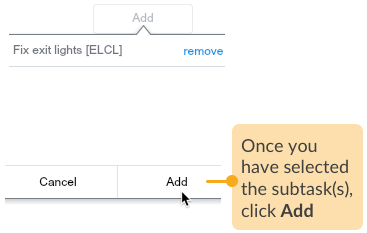 Required subtasks have been created in the Library. If it hasn't been done yet, please see Create Subtask Template. 2. Required tasks have been created in the Library. If it hasn't been done yet, please see Create Task Template. 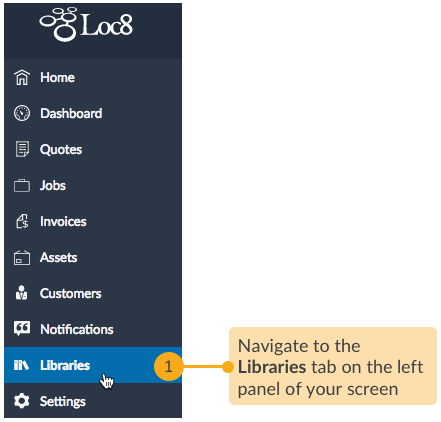 STEP 1 Go to the Libraries tab, where the tasks are saved as templates and can be easily added to jobs at any time. STEP 2 Go to the Task Template page. 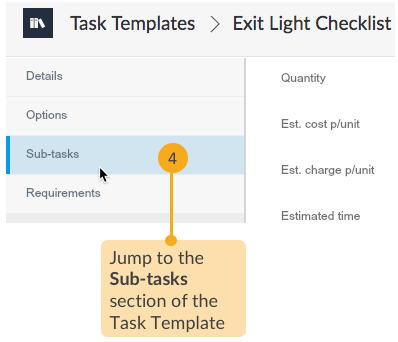 STEP 3 From the list of task templates, select the one to which you would like to link one or more subtask templates so that the subtasks automatically come up along with the task when you add that task to a job. 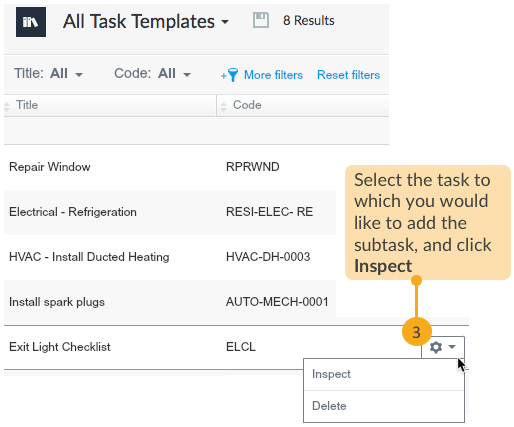 STEP 4 In the selected task template, go to the Sub-tasks section and pick the subtasks to be associated with this particular task from here on. 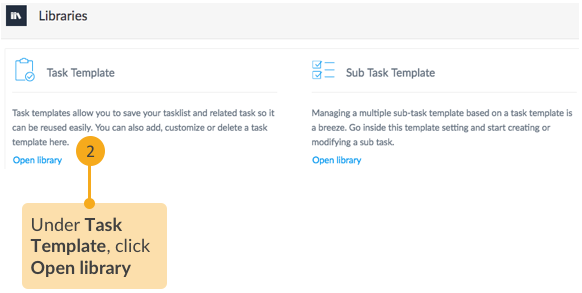 STEP 5 Lastly, go ahead and save the task template, which now contain the link to the selected subtasks.